River Trent Angler. 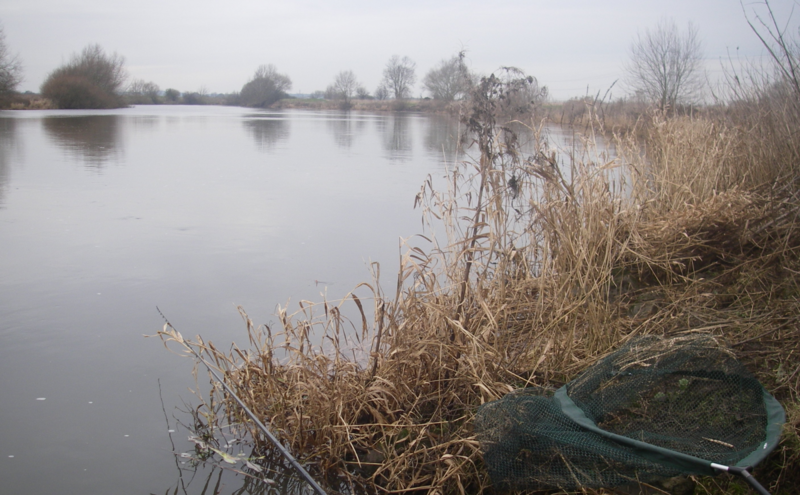 – Page 5 – Fishing the River Trent mostly with a float. Commercial fishing lakes, the good, bad and the ugly. If I said I’m in favour of these types of fishing waters you may be surprised. I’ve thought about them for a long time, and on the whole come down on the side they are good for our future fishing. However you may be surprised when I tell you why I think that way? On the selfish side, it keeps the Match angler off the wild waters. I really hate the way our fish are treated by the majority of these anglers, during and after the matches. I’ve witnesses the “way-in’s” after a match, and the fish treatment is shocking. During Matches fish treatment is not much better, fish being thrown, dropped into the keep-nets because speed is of the utmost importance. On wild waters that fish damage affects me, on Commercials it doesn’t, simple. Watch the way in river match? Could we not improve this system of weighing in? I think we could. On Commercials they have keep-net limit rules that are not in-forced, so carp (mostly carp) are damaged in the crowded net. I’ve fished a few Commercials and the fish quality is abysmal. Broken fins, damaged mouths, open sores, missing scales, if they were humans it would be called torture. I know for a fact that several Match-men really do care about the fish they catch, but they are in the minority, and when they speak out, they get lambasted. There will come a time when all anglers will be judged by their (match-man) actions by the fishing hating community, and we will all deserve it, as we do nothing to educate people to better understand fish handling. If you click on You-Tube coarse fishing, 90% of the videos are now about dozens of blokes sat around a little pond catching carp. They teach you how to cast, set up a feeder rod, float rods, pellet wagglers, reviews on poles, reels, seats everything apart from fish care. For my self I cannot see any enjoyment in fishing a puddle stuffed full of fish, it’s just too easy. But that’s what these people want, easy fishing, so it works for me as most of them stay away from my spots, as they cannot catch wild fish. Good handling means this little Commercial Carp goes back with little trouble. A decent net, and weigh mat. If you think I’m angry about this subject your right. Too many good ponds, and lakes have been stocked with Carp that could not normally support them-selves without anglers baits. The fish are hungry all the time, having to feed regardless of the cost to their well-being. This artificial stocking has ruined true fishing for many, knowing you will always catch regardless of how inept you are, sad isn’t it? Author Fishermanrichard.Posted on August 2, 2018 1 Comment on Commercial fishing lakes, the good, bad and the ugly. The heat is on, still! So a nice week just gone with a few Bream to 8lb, not bad, I’ve really enjoyed it. Now that’s what its all about really, finding new places on the River and next week will be no different. I’m planning to visit Clifton Bridge, another beat on my new ticket. I’m told the water is a little shallower than East Stoke, so the float will see more outings. The Bolo float is something I’m looking to master, fishing the middle river with a top and bottom float should be interesting. But I also have a good range of Dave Harrell’s Truncheon floats that I’ve taken Barbel on before, simply I must get better at using them, answer? Dave’s Floats. Use them more often in the right conditions, with big baits. Dead maggots are deadly, as are small pellets, bread, corn, even the big Roach will take these baits in Mid-River. We have a had around eight weeks of rain-less weather. I bet the commercial carp waters owners are pulling their hair out right now. Any thunder storms can see many carp lost due to oxygen levels being too low, hundreds of fish can be lost in a few hours. Ive seen this before in my own Koi pond years ago, fortunately we only lost a few fish rather than the whole lot. Putting in excess ground bait, plus loose feed not being eaten only exacerbates the problem, it decomposes on the lake bed. The river is clear and low, any Barbel caught take a long time to recover, so much so I don’t deliberately fish for them during such conditions. Any caught are held in the net for a long time, any that look too tired are put in a Carp recovery keep net ( I keep in the boot of the car) on their own to recuperate. I don’t like keep-nets for Carp, or Barbel but these are exceptional conditions. Once we get some rain (maybe Friday according to the forecast) the rivers will come back on my radar. I’d also like to do you a review of a new rod and reel I’ve just taken charge of for my light trotting. Were talking about light-weight and the total is under 14 ounces for both a 14′ rod and fixed spool 4000 reel, interested? Cause you are! Author Fishermanrichard.Posted on July 25, 2018 Leave a comment on The heat is on, still! The Way of the Stick Float. A lot of people fish the Stick float well, but just as many fish it poorly. I’m going to try to explain exactly what the stick float should be doing, and why, when you’re fishing it. I’ll mention again, I’m no expert, I’m still learning, trying to understand why these floats are so deadly in the right conditions and right hands. The Stick Float shotted correctly catches fish at all depths as it falls through the water column. When you hold it back (and you should) it rises and falls enticingly for the fish, exactly like the loose feed. You hold back, let it go, hold back, let it go, all the way down the swim, importantly you’re fishing over depth most of the time. If the swim is 6′ deep you’re fishing at 7′ with the bottom hook-length 10”/16” Un-shotted. It allows wonderful presentation and un-missable bites if you’re keeping a tight line to the float. Most bites come on or after the stop, as the float moved down the swim bit by bit. The trot could be relatively short overall, six or ten yards as the fish moved up-stream to intercept the then revolutionary bait the Caster! The Stick and Caster were a match made in heaven for the Trent Angler of old, as it is still today. On waters like the Trent you would use 2 pints of Casters typically in a match or pleasure session, loose feeding so the fish are taking them at all levels. The stop and start checking of the float would ensure the bait and float were always in contact with the angler giving good solid bites. The downside of the Stick was it could only be fished in the best of conditions. A slight up-stream wind, smooth top water, and less than six feet of depth on average. Any rough water, or downstream wind and the Avon float would fish much better, but that’s for another time. Many anglers fish a Stick in conditions were another float would give them a much better chance (myself included) such is the lure of the Stick. Finally the rods used for this method (Stick float fishing) were also very special to cope with the ultra fine tackle. Anglers with famous names in the day started to endorse such rods, today these antiques sell for good money on E-Bay, Tom Pickering rods are a fine example. However we have some great Stick float rods today made from much better and lighter materials. The Acolyte Ultra and Daiwa Connoisseur range for example allow very fine lines to be used. But whatever you choose it must have a soft tip, but quick action to hit sharp bites at distance. Old reels (as I mentioned before) like the Abu 501-506-506 are still up to the job, and great fun to use. Author Fishermanrichard.Posted on July 23, 2018 Leave a comment on The Way of the Stick Float. Rods for River Trotting, and Barbel. On various fishing forums I visit, this has to be one of the most often questions asked and a difficult on to answer. Firstly rods have move on in the last few years (5-10) as at one time the big fish trotting angler had to make do with rods not specifically designed for the job. I see a lot of suggestions for the Drennan 12’9 Tench rod, well it’s a rod, about the right length but it’s got Tench on in for a reason, and it’s designed to sit in a rest most of the time. Will it do, yes but you could do better. Angling Times Picture, Barbel on the Acolyte Plus. I’ve not tried every rod available, few have, but during my search in 2015/16 I did a lot of looking, speaking to those in the know, holding and swishing rods. Lets look at what you need in a big fish trotting rod. First it has to be able to take a main-line of at least 6lb breaking strain. It has to bend right through the blank, not just the tip, or two-thirds, down below is where the power is. There are plenty of rods designed for river fishing, even float fishing, but most are too light. Hence were the suggestion for something like a Tench rod comes in, it does all the above. But it lacks any finesse, or a quick but softish tip. I tried a Tench rod myself and just found it dull, it didn’t pick up line at distance quickly, or with any authority. I don’t think it’s until you have tried a proper float Barbel rod, that you would know any difference. I mentioned earlier that rods have come on recently, due I think to the modern carp commercials. These places have a lot to do with new rod designs, specifically for pulling big carp out on light lines. These float rods are very light, as thin as a pencil and bend right through. One pellet waggler I own is the perfect small river float rod, its light super quick, ultra slim and takes 6 lb main-line. If I was a small river Barbel trotter I’d look no further. However it is too short for bigger river applications, where the 13′ rod rules. Sadly most of these pellet waggler rods are too short and 9′-11′ seems to be the ideal size as the carp anglers can net carp quicker with this length. So as you can see the right design is the key, after much looking I’ve fund just a handful of rods up to the job. Remember these are rods I’ve tried myself and still own. The Acolyte Plus range from Drennan. In my humble view these rods are perfect, they have all the traits I look for. Some say they are too light for big Barbel, but most people who say that don’t ever test their tackle to the full. Look at; You-Tube epic fishing fight on 1lb hook link. (Have you ever watched anglers with strong carp rods and 15 lb line fish for Barbel. With modest fish they haul them in super fast trying to keep them from snags, nothing wrong with that, but where is the fun, fight?) I don’t float fish near snags, full stop, so my tackle is appropriate. I also bend into my fish and with a float rod, that’s nothing like bending into a fish with a carp rod and 15lb believe me. Mostly my Barbel move toward the middle of the river, then sulk, until I move them again. It’s worth a test if you still unsure, try breaking 6lb line on a straight pull when attached to one of these rods. Then imagine trying to break it on a big fish, almost impossible, the hook-link goes first, and at 4/5 pound that too takes some breaking. A long float rod is an impressive tool, and can exert real power on a big Barbel. You can pick these up now for bargain prices. Google Acolyte plus. 14′ my favourite. The Daiwa Tournament. I’ve been a big Daiwa rod fan for years. The blanks are so high quality, and they last. Most have been good investments for me, but they come at a price. I bit heavier than the Acolyte, but the feel is very steely if you know what I mean. Mine is rated 2-8 pound and is stronger than the Acolyte, just. My choice is the 13’/15′ at 15′ with a light balanced reel the rod is a delight to use, is a Barbel rod killer without compromise. I often lay-on with this length in the evenings, hooking Barbel as they pull against the rod top, no buzzer required thank God, but do hang on! Maybe because of the quality these rods go for a good price second-hand. That’s it, just two rods I would choose from. Their must be others, I’m told some of the old Normark are good, and Harrison does one as well as do Free-Spirit. Daiwa also do a Spectron thats almost as good as the Tourny. But you will have to do your research like I did. Finally forums are a good source, but only listen to those that really do trot for Barbel, and not those ones that wish they did? Author Fishermanrichard.Posted on July 21, 2018 Leave a comment on Rods for River Trotting, and Barbel. Stick Float Rods and Reels. Traditionally if you used a stick float for float fishing you would use either a centrepin, or closed face reel. The Abu Garcia 500 series, all made in Sweden were the closed face reels to own if you were serious about your stick fishing. They were simple in design, and to use, design for spinning they found a niche with the stick float anglers of the day.Being made in Sweden ( now in the far East) the quality was high, even though the mechanics were very simple. The bodies were made of metal and inners with cheap parts that at the time could easily be replaced, once worn. The 501 became a cult reel over the years and many say it’s never been bettered. Old ones in mint condition fetch between £70-£100 today, when first made they cost around £20. The reel had a few downsides, particularly the clutch system that took some getting use to. However the stick men overcame this by taking out the mechanism so the reel could only back-wind. Remember these anglers were using a method (stick float fishing) designed for quantity, not big fish. So when a big fish did come along the 501 would allow the angler to backwind giving the fish line to avoid breakage. Many of todays big fish anglers still prefer to back-wind over a clutch, even though todays reels have wonderful clutch arrangement. Abu Garcia in later years (like many UK manufacturers, Hardy for example) move their reel production to the far East, China, Thailand, and the quality metal bodywork was replaced with plastic. Lighter but not as long-lived. I doubt many of todays Abu reels will ever see two decades before they fall apart. The close faced reel had many advantages for the angler, especially in windy conditions. Centrepin reels came without a line guard in those days, so any wind could see the line getting behind the reel, very annoying and time-consuming. They also had the disadvantages of range, you could only cast so far with a pin! I love to use a pin but most of mine have line guards. The one that doesn’t I only use on still days, it’s just not worth the effort. Oddly these days anglers are just as likely to ledger with a pin, Barbel, Carp anglers especially. I come back to the 500 series. The Match men of the day would only fill the narrow spools with 50/70 yards of very fine main line 2.6lb typically. This would help stop the bedding in of the line on the spool after a big fish was landed. After all, they were fishing for bites and big fish were the bonus of well thought out feeding tactics, another talent many of those men had. Hook-links could be as fine as 1lb or less, my mind boggles at the finesse. Hooks size 22/24/26 were common. Just recently I managed to pick up a little minter 501 that’s now with Jim’s reel shop having the anti-reverse pawn put back to its original state. The 501 is the only 500 in the series that this pawn helps the drag, and allows you to backwind with some resistance. A fish runs, the handle backwinds but with some measure of protection of the light hook-link. The hot weather is still with use and proper fishing is limited for the time being. Stick with use as I’ve still got lots to say. Author Fishermanrichard.Posted on July 19, 2018 July 19, 2018 Leave a comment on Stick Float Rods and Reels. I think this will go down as one of the longest dry spell in a decade. I cannot remember that last time we had some decent rain, March maybe? My garden is dry, the lawns browny/white, and the flowers and shrubs look forlorn. Today on the River I basted again, speaking to other anglers the barbel are scarce as are most of the fish, night-time is the main time the fish are feeding it seems. I think if this continues I’ll have to forgo daytime fishing and just have a few hours into darkness. It will mean getting out the quiver tip again, but hopefully it won’t be for long. I’m wondering if the better Roach would feed late on, and not just the barbel. Thing is I’ve caught plenty of Barbel on bread in the past, and I know they take it on the Trent. I could compromise and fish a 6lb mainline and 4lb hook link, that way I’d have a good chance if I do hit a Barbel of landing it provided it didn’t snag me. I have a nice Drennan Super feeder that while being tippy, is good with light line hook-links. Sitting touch ledgering is a nice way of passing an evening with a quiver tip rod. Bread, corn, even a small pellet (8 mm) would work on the better Roach. I’ve managed to get a few, small open and close ended feeders for the Roach work, 25-30 grams is ideal at present. Currently the Trent is clear and low so maybe a maggot feeder would be better than a cereal feeder. Maybe maggots and hemp on the deck, would be better than trotting when I often spread the bait all over the place. I’m busy now for the rest of this week, but next week I’ll be out again. By then we may have had some rain, I dearly hope so! Author Fishermanrichard.Posted on July 10, 2018 1 Comment on Records are Broken. The Art of Stick Float Fishing. Firstly let me say I’m no expert when it comes to the art of stick float fishing (unlike many of the Trent anglers of old). But its something I really love to do whenever I can. The wind and river conditions have to be just right for it to be productive, but sometimes I simply do it when all is against me and a waggler would be a better choice! King of the stick float, Ivan Marks from Nottingham. On super bright sunny days I find a black tip stick float stands out better than almost any other colour. It seems to help the eyes rest on the float, rather than search for it. Stick float fishing is all about finesse, fine lines and small hooks. Designed to catch fish downstream of you in shallow water, up to six feet mostly. It’s not unusual to find stick float experts fishing with 2lb main line and 1.5lb hook links. Hooks size 16s and lower. I compromise however and fish with a 3.4lb main line, and hook links of 2.10lb. It doesn’t seem to make that much difference to me and my catches, but the experts would disagree, saying its far to heavy for the ultra light presentation required of this method? Now that’s a match-mans approach, but the layman may wish to fish for bigger fish like chub and barbel on the stick, and this does require a different approach. I find my set up with an upped hook-link to (4lb and 5lb) main line allows me not only to catch small fish like Dace and Roach, but chub and the barbel that the Trent produces in numbers these days. In the older days of the Trent fishing the Barbel just did not appear in catches, now they dominate it, hence the ultra light tackle was more than suitable then. The traditional way of Stick Float fishing was to use hemp and caster or hemp and tares for the mass of Roach/Dace the river use to hold. These fish have come back but are much harder to catch due to the cleaner river the Trent is now. (More about this in another article). This is still the go-to method, but now it catches big Chub and Barbel for those that know how to go about tackling it, feeding is a vital part of the puzzle. I’m learning this as I go along, at times I’m successful, so I can only tell you how I go about it. On arrival I put about 3-5 handfuls of hemp in along with 2 of caster. Then I set up, tackle is a Drennan 14′ Power float rod, 4.4lb line and 3.2lb hook link, size 16 forged hook. Once I’m settled I start to feed and continue until I leave, during this time I may only feed 10 grains of hemp and 3 caters, or 30 grains and a dozen caster it will depend on what I’m catching and how the fish respond. If I can give you an example of one good day I had in September 2017. Big Chub also fall for laid on tactics, this on weighed 5.5oz. I’d been feeding cautiously for about 2 hours (as mentioned above) taking a few Roach, Dace, and little Chub. My float was a wide topped stick taking 8 number 4 shot, 4.4lb hook link. Swim was about 7-8 foot deep steady flow coming up slightly towards the end of my run of 30 yards. Around 4pm I hooked a Barbel of just over 11lb on double caster fished just on depth. It run towards the middle of the river and stopped, but steady pressure moved it into my back and after maybe four minutes it was landed in my Gardner barbel net. I baited a little more next run down but had to wait another ten minutes before another Barbel of 8lb followed by another of 9lb came along. All on trotted caster, I did change the hook-link and hook after the first fish, just for safety. As it was getting towards dark now I picked up my other rod, a 15′ Daiwa loaded with 6lb mainline and 5.5lb bottom. I then laid on with the same 8 number 4 shot stick float but with the shot replaced by a 4 gram olivette. I was fishing only one rod length below me so when the next fish took the triple caster, the rod was off the rest with me hanging on for grim death. Sadly after a great fight the fish was lost, and the hook returned neatly flattened out. After this it was too dark to see a float, so I packed up and headed home. Feeding is the key, prolonged and regular every trot down the swim, its not a lazy mans method. True Stick men like the great ‘Ivan Marks’ from Nottingham suggested in his book a lot of his success was down to fishing very small hooks, and light lines. In those days as I’ve mention the barbel were just not there. I’ve just watched a great clip form another true great angler John Allerton. Its worth looking on You-Tube to find these rare clips. Once this amazing hot weather declines a bit, I’ll be fishing again, see you on the bank. Author Fishermanrichard.Posted on July 8, 2018 July 8, 2018 1 Comment on The Art of Stick Float Fishing.